There are at least 3 versions of this model, possibly 4. 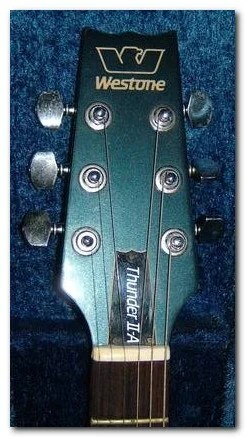 As with the Thunder IA, the earliest version has variable gain for the active circuit, later versions replace that with separate active and passive tone controls. Set neck resembles the joint used on the Rainbow, not the heelless set neck of later model. The serial number of the guitar below dates it to 1981. Thanks to Ronnie for the pictures. 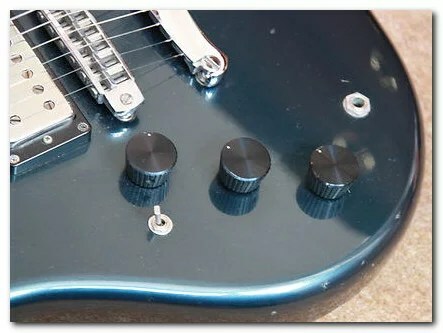 The single coil pickup and extra switch are not original. It is possible that the specs in the 1982/3 catalogue are wrong. This is an usual model (besides being lefty) and does not match any known published references, but it is apparently a factory design. 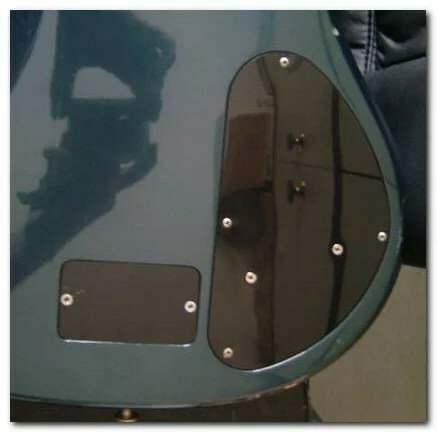 Construction is the same as earlier versions except for the circuit wiring and black proprietary “upside down” plastic knobs in place of the typical brass ones.